For those of you who rely on cloud storage, here’s a much cheaper option for you to consider – Google Drive. Google recently revised its pricing for its cloud storage service, reducing the price by a large fraction and making it a lot cheaper than what others are offering out there. The standard 15GB is available for free and upgrades are as affordable as USD$1.99/month, a drop from USD$4.99. Get 100GB for $1.99 (previously $4.99), 1TB for $9.99 (previously $49.99), and 10TB and above starting at $99.99. How big is a terabyte? According to Google, you can take a Selfie twice a day for the next 200 years and still have room left. For existing Google Drive users, you will automatically be moved to the more affordable plan. For those who wish to subscribe for extra cloud storage, you can do so at the Storage Purchase page on Google Drive. With Google Drive so much more affordable now, it’s definitely the best cloud storage to pick given how it’s supported on all platforms, mobile and desktop. 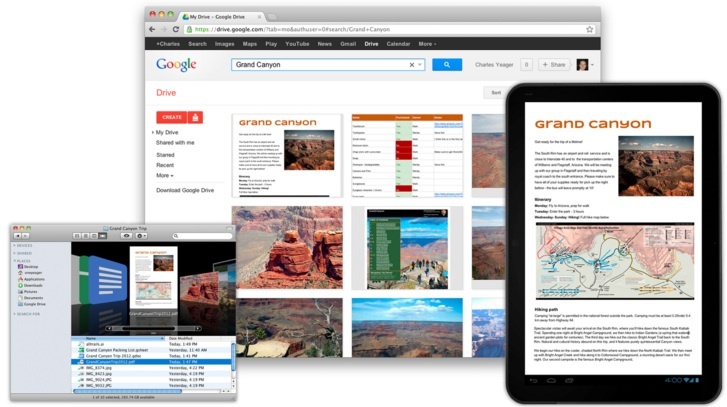 On top of allowing users to store their Gmail and Google+ Photos with automatic upload from mobile devices, users can also share files and collaborate on documents created in Google Drive.